LOS ANGELES, CA--(Marketwired - April 20, 2016) - MobileCause, the world's leading mobile and online fundraising and communication software, has released Unleash the Power of Smart Fundraising, the latest installment in their thought-leading, on-demand webinar series designed to help nonprofit leaders unlock their organization's potential and reach their fundraising goals. Technological advances have changed the way nonprofits can grow their donor base, recruit volunteers, increase awareness and raise money for their cause. However, many organizations still cling to more traditional, familiar ways of fundraising that are not as effective as smart mobile and online solutions. 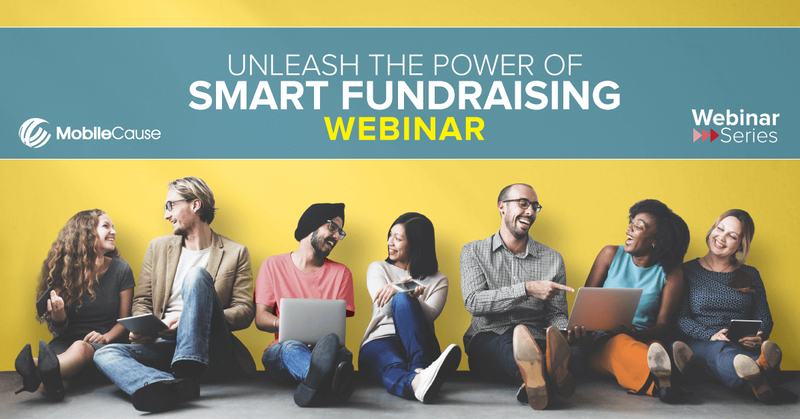 Unleash the Power of Smart Fundraising offers insight into how smart fundraisers are implementing an integrated strategy that combines those fundraising methods with mobile and online technologies to maximize revenues, donor count, and advocate participation. "Nonprofits should be augmenting their fundraising efforts by incorporating online and mobile channels because that is where their donors are looking for information about the causes they care about before they give," commented Jeremy Koenig, MobileCause Creative Director and Product Architect. "The smart fundraiser is the one who understand that 75% of donors research websites before giving to an organization, and that half of them performed that research and gave with their mobile phone." Lindsey Petersen, Director of Marketing and Communications for the Tyler Robinson Foundation.